We currently fail to make the most of the energy, talent and commitment of millions of young people in the UK aged 10-20, who have an appetite to contribution more to their communities. Educators acknowledge the potential for youth social action to improve the academic outcomes while employers believe it can build the skills necessary to be successful in the workplace. Therefore it is vital to galvanise cross-sector, cross-party support to dramatically increase opportunities for young people to participate. The #iwill campaign strategy is based on collaborating with stakeholders from across a wide range of sectors. Alongside we have identified three core pillars of activity and these will be central to our plans. They will evidence and communicate the benefits of youth social action by understanding trends, building an evidence base and telling the story of the double benefit, that young people are developing their character and skills whilst making contributions to their communities and wider society. 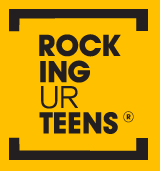 They will work to embed social action in every young person’s journey from 10-20 by integrating stimuli and opportunities to take part throughout formal education (school, college, university), other youth settings (youth clubs, uniformed organisations, sports clubs, arts and music activities), employment for the older age range and their home and wider society. They will enable more high quality youth social action opportunities by increasing access to relevant programmes across the UK, opening up opportunities for younger volunteers in the voluntary and public sectors and setting out guidance for enhancing the quality of opportunities so that they deliver the double benefit. The progress of the campaign – and the data that will inform it – is being measured through a UK-wide survey of 10-20 year-olds being led by Ipsos MORI, funded by Cabinet Office as part of their pledge. They know young people are already doing fantastic things in their communities, but there are many more who have still not played their part. They want to ensure ALL young people to get access to social action opportunities – creating a habit for life, developing vital skills and making a positive impact on their communities.